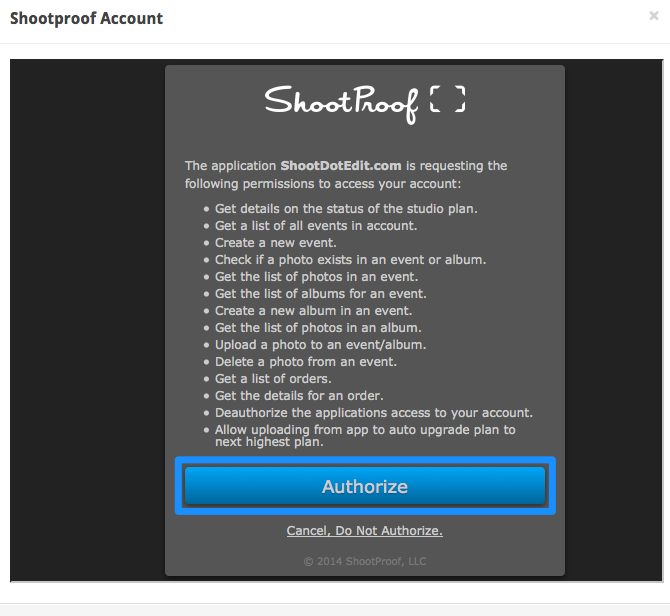 - FREE Uploads to your ShootProof Galleries! 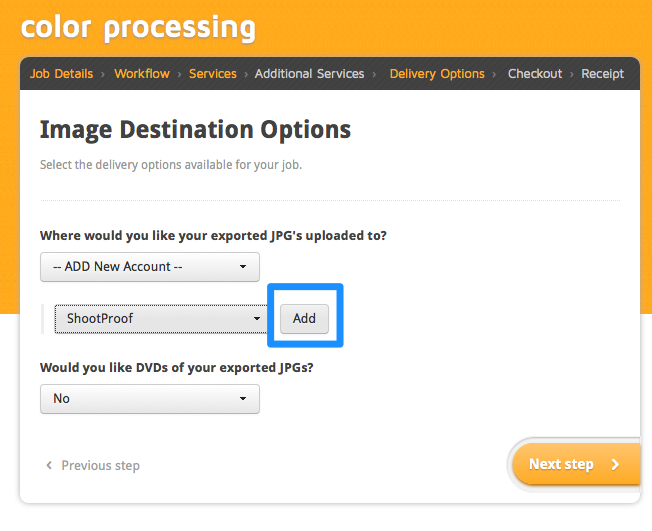 - ShootDotEdit will upload completed JPEG files directly to the ShootProof Gallery of your choice! 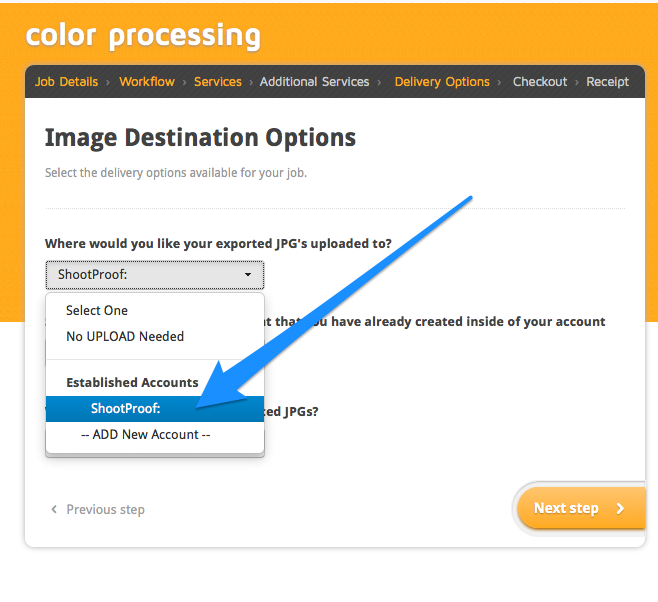 In this article you will learn how to authenticate your ShootProof account and how to order a direct upload of your completed files. with ShootDotEdit before starting my Job Submission. 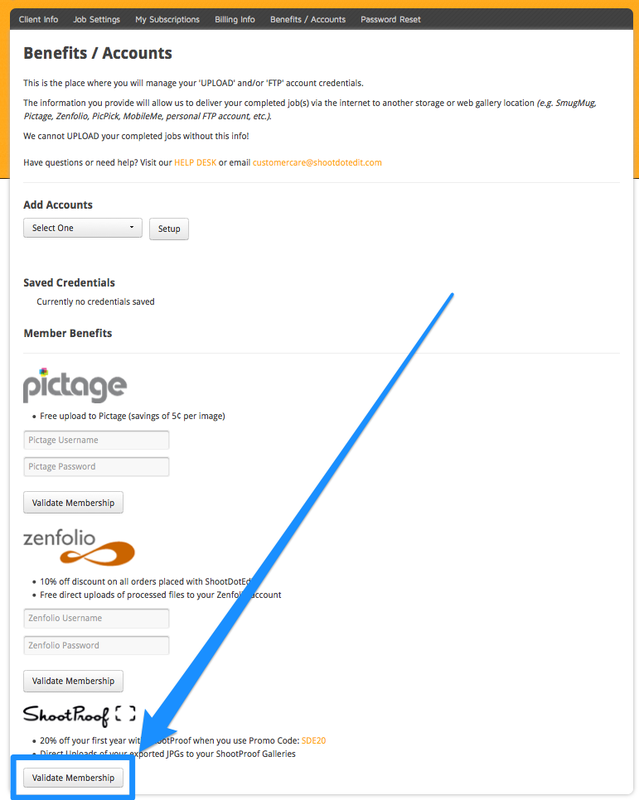 Your membership will now show as "Authorized" and you are all set! with ShootDotEdit while completing my Job Submission. 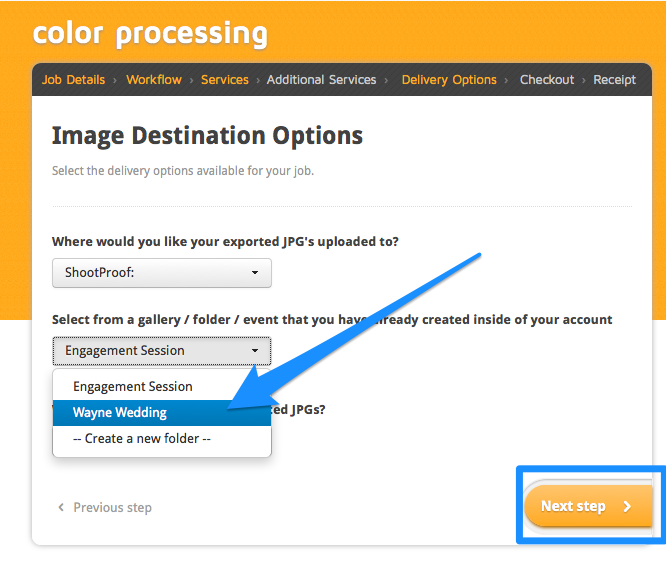 Start a new Job Submission with ShootDotEdit and request JPEG processing. 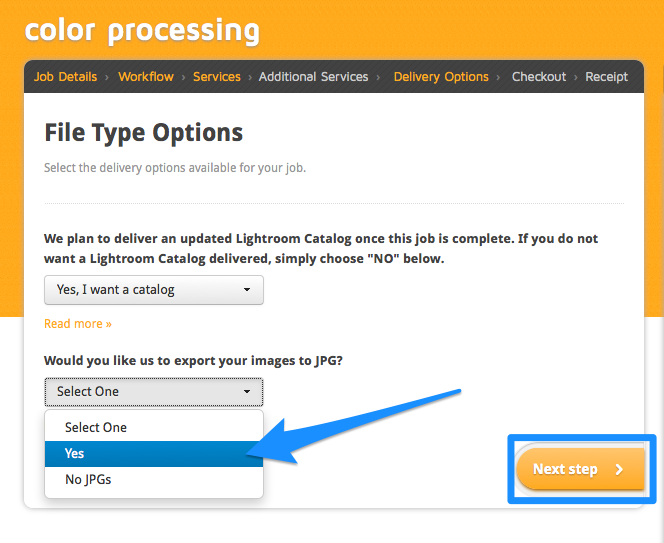 Under the "File Type Options" screen, select "YES" when the order form asks if you would like JPEG Processing and select "Next step". Under the question "Where would you like your exported JPEGS uploaded to?" 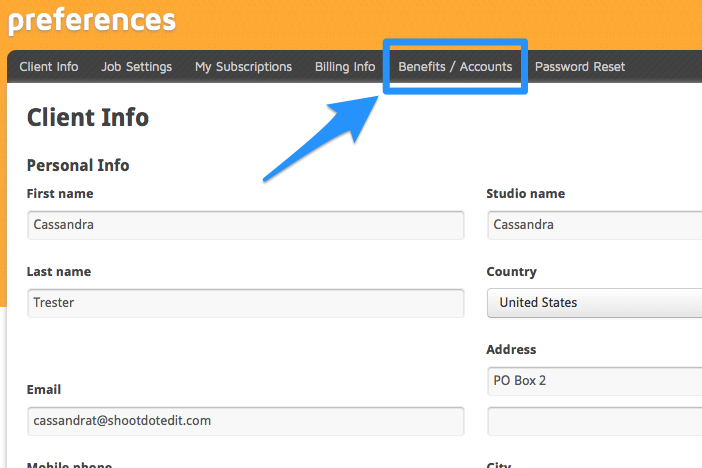 click on the drop down menu to select "ADD New Account". 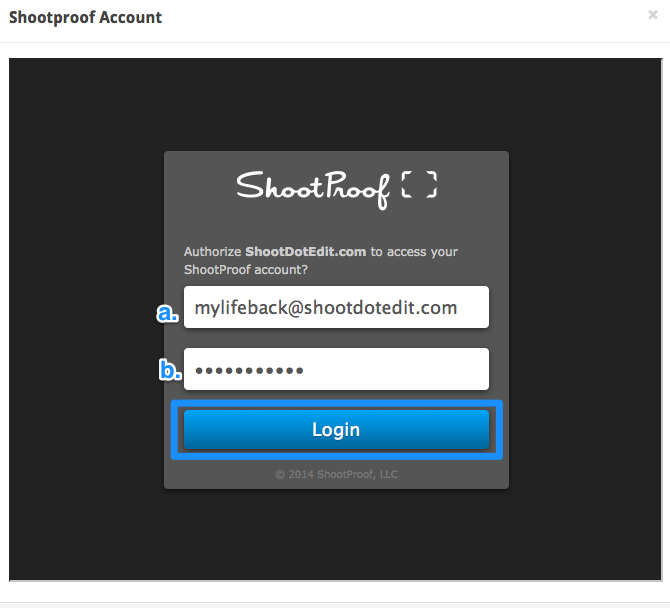 A drop down list of several options will appear, select "ShootProof" and click "Add" to start the authorization process. 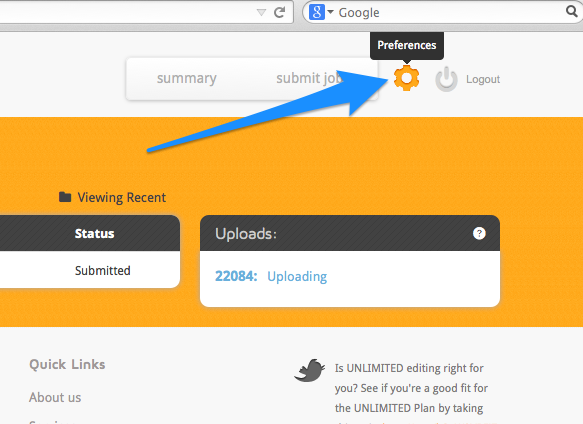 The Authorization Terms and Conditions will appear, make sure to review and click "Authorize" when complete! 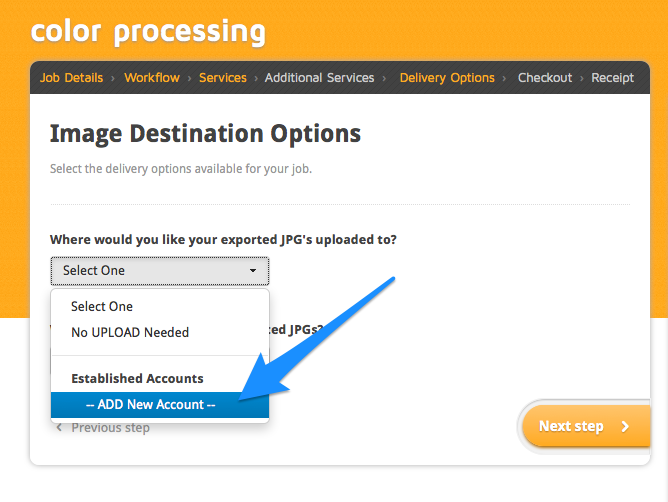 Once Authorized, click again on the drop down menu under the question "Where would you like you exported JPEGS uploaded to?" 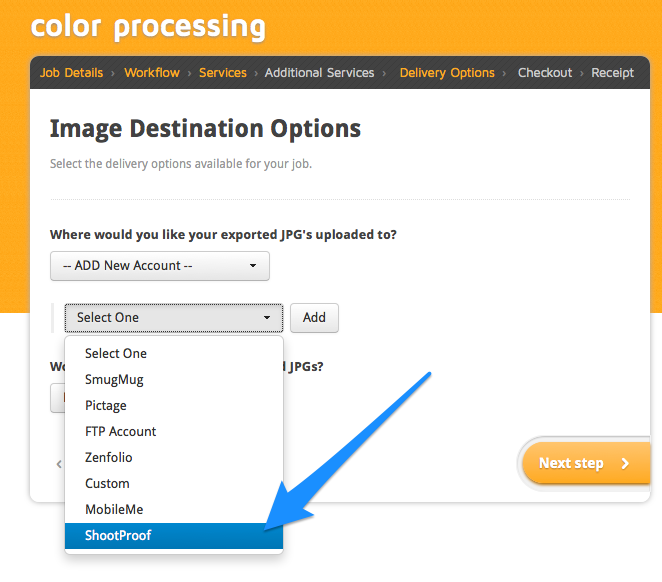 and select "ShootProof"
How to have your images sent directly to ShootProof! ShootDotEdit will handle the rest!